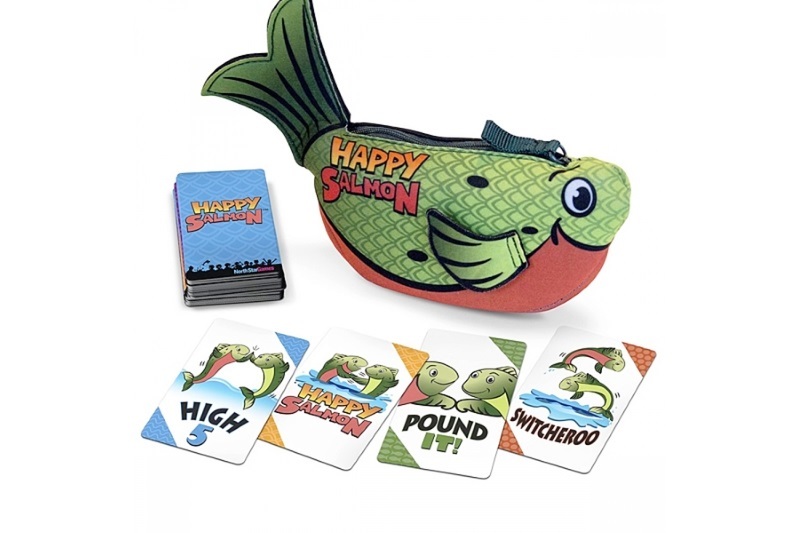 You will need to provide as many Happy Salmon game sets as you need, according to the number of people you want to play with. With one set, you can play with up to 6 players. Pro tip You can double the number of players by buying green sets and blue sets, marking them both with the same color dots or shapes, since the back color of the cards are different. The first person who has no more cards is the winner. In this video, we had around 50 people playing at the same time. Is that a world record ? 2 minutes of playing, 20 minutes of sorting the cards. You can actually gamify the card sorting, trying to figure out the fastest strategy, collaborating as a team.